Last week I explained how I learned of a strategy from Doug Sandler of the Nice Guys on Business show where the goal is to bring on guests who would be a good client for you (assuming you're podcasting as part of your business). Doug's business is Turnkey Podcast. There is little focus on your audience and more emphasis on your guest. The presenter also requires that their potential guest subscribes, to their podcast and gives them a five-star review to be considered. This was the part that I thought was a little “black hat.” I wanted to reserve my judgment until I spoke with Doug. 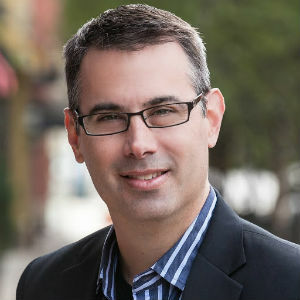 Today I have Doug Sandler on the show to share his insights into his strategy. Bill Hutchison is a full-time missionary and has a podcast every now and then Bill is asked to speak in churches. Today Bill shares how he had to think on the fly when he hit a technical snag, anbecausese of his podcast he was able to pull it off. Doug did his podcast for 16 months without making a dime. He went from 20,000 downloads to 1.2 million in the second 16 months. How does his stop his guests from being boring? Does having guests on your show ensure 1.2 million downloads? 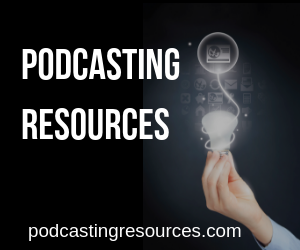 There are no rules in podcasting? Will I look into using my podcast to get clients? I already do. The whole point of the School of Podcasting is to exhibit my expertise, and show you I know how to create a show that engages your audience. I might try this strategy in the future and do something like Natalie Ectal from BizChix.com where she records coaching calls and uses them as episodes. While I force potential guests to subscribe, rate, and provide a five-star review? No. There is nothing worse than waking up to an inbox full of emails from listeners letting you know there is a mistake in your latest episode. This could be silence, or an edit point that you thought you took out (but didn't). You panick. Oh No! What do I do? Here is what you do. If you're using Libsyn.com go to Content > Previously Published and edit the Episode. There you can use the replace option to upload the repaired version of the episode. I strongly suggest you use the exact same file name. This way you don't have to wait for your episode to propagate across the Internet. Your feed has the name of the file, and when someone who didn't download the episode with the mistake presses download, they get the repaired version. If you're using Blubrry, you can go into PowerPress and upload your repaired file (and it will replace the old file). Again, I strongly urge you to use the exact same file name. When someone gets the first (wrong) version of your file, the app they use doesn't know there is an issue. Consequently, the app won't download the new version (because to the app, it's the same file). But I Want Everyone to Get the New Version! The only way to have all of your audience to get new version is to create a completely new episode (and delete the old episode). This might annoy your subscribers (who typically are the people who get your episode first as it's automated). They may have already listened to and delete the episode, and then all the sudden here it comes again. The best solution is to ALWAYS listen to the ENTIRE episode before uploading it to your media host. In other words, the best way to fix the mistake is to not make it in the first place. With that in mind, we are all human and it will happen. I personally just replace the old version and if someone tells me about the mistake I apologize to them and explain they now have a collectors edition.